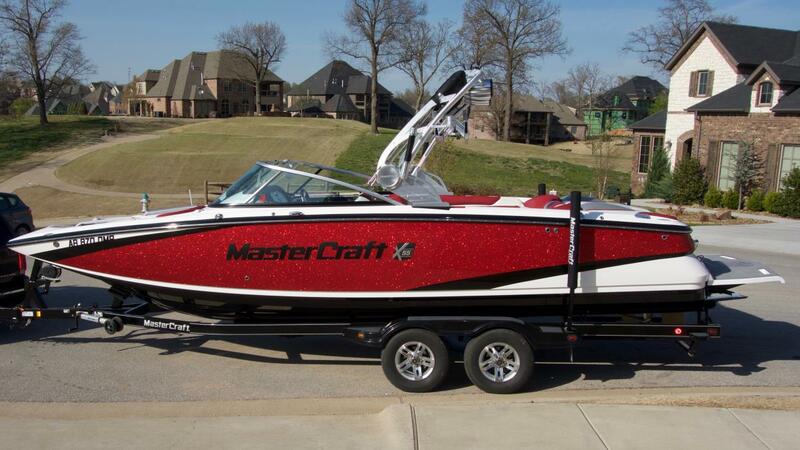 2011 Mastercraft X 55 This is an extremely clean 2011 MasterCraft x55 with low hours located in Jackson, TN. We are the second owners of the boat. 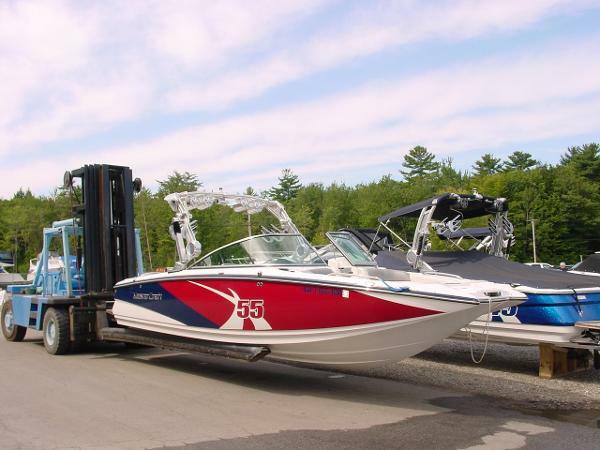 It was stored on a dry lift on Grande Lake in Oklahoma when we purchased it last summer. The boat has been lightly used and pampered its whole life. LOADED with extras. It is powered by the upgraded 430hp 6.2 Ilmor engine that has always been professionally serviced as evidenced by service records. Hydraulic steering. Engine flush kit. It was upgraded from the factory with the Hydraulic Power Tower. Tower Camera. Pivoting, locking board racks. Bemini. 1250 lb. factory ballast hard tanks. Additional 2500 lb of FlyHigh and Ronix ballast sacks. 4 WET SOUNDs Rev10s. Wet Sound powered amp for tower speakers. Wet Sounds WS420-SQ equalizer/ PA system. JL Audio in boat speakers powered by JL amps; Two 12" subwoofers. Clarion head unit with remote control units at the helm and swim platform. Drop-in carpet. Carpet/upholstry is remarkable. Mooring Cover plus Custom fitted cover that extends to water line. Teak platform. Gen 1 Surf System with Attitude/Wake plate. 4-blade prop. Electronic controls. Perfect Pass. Memory Profiles. 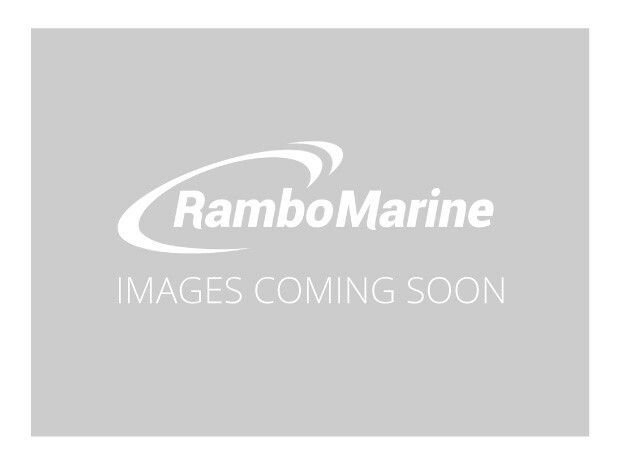 Boatmate Tandem Trailer with new, freshly carpeted bunks. Custom aluminum GEAR wheels + spare. Fold-away tongue. Too many options to list everything. Any question, please ask. Thanks, and God Bless. 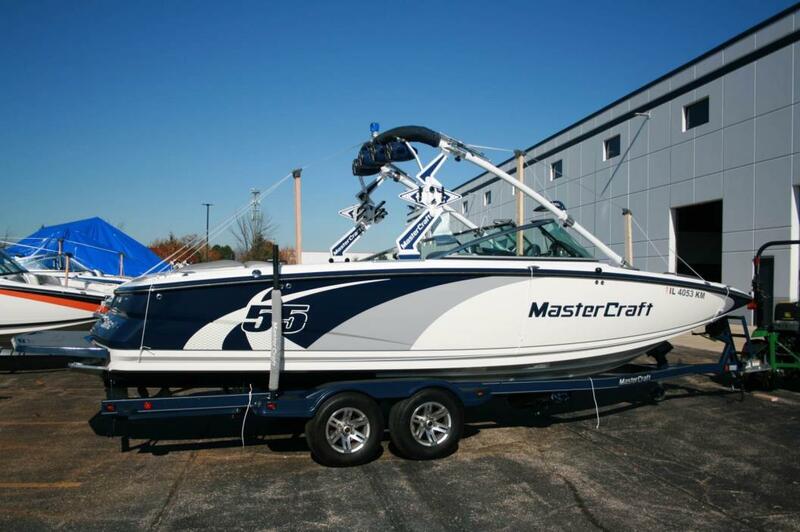 2014 Mastercraft X-55 Nice X55 with great options. Boat is actually Canadian Blue Flake under the Orange Graphics, see pictures for visual. 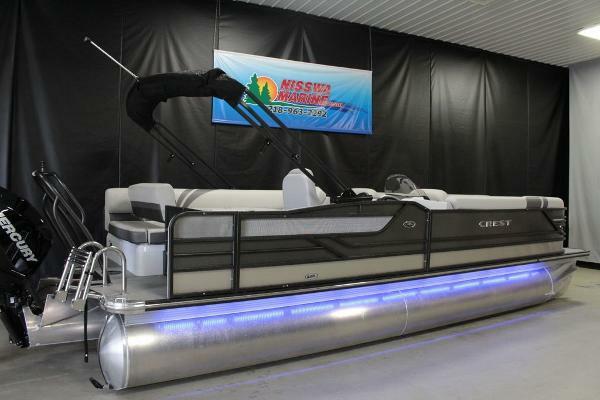 -Ilmor 6.2 -Surf Package (not GEN-2) -Bimini -Under Tower Cover -Tandem Axle Trailer -Heater -Four Billet Tower Speakers -More The largest in our entire X Series was created to entertain like no other wake boat. This is where world class riding meets exceptional luxury. Unmatched wakes, a full-day wet bar and on-board head. 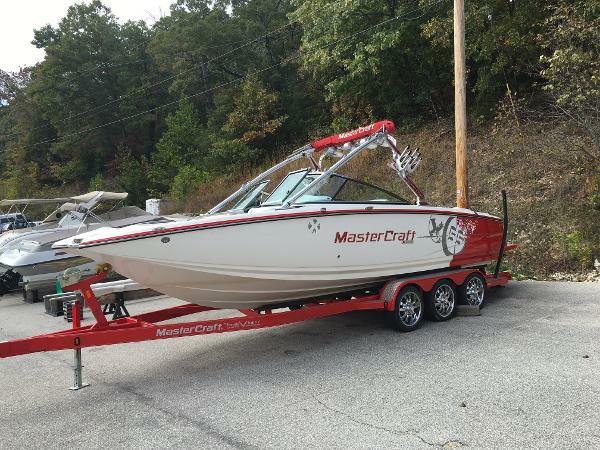 2012 Mastercraft X-55 FRESH WATER ONLY! 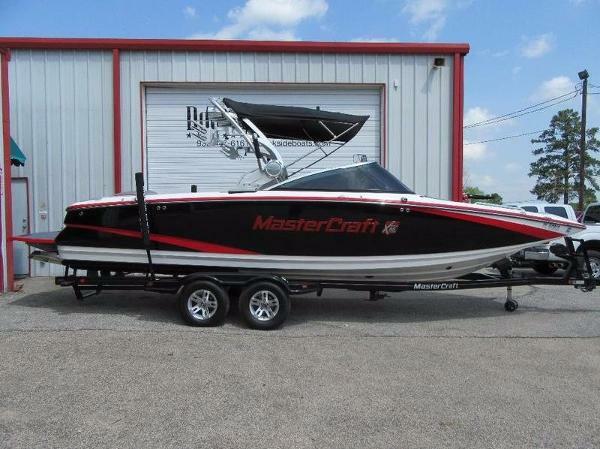 2012 Mastercraft X-55 Switch 25' Ski Boat With 8.5' Beam. 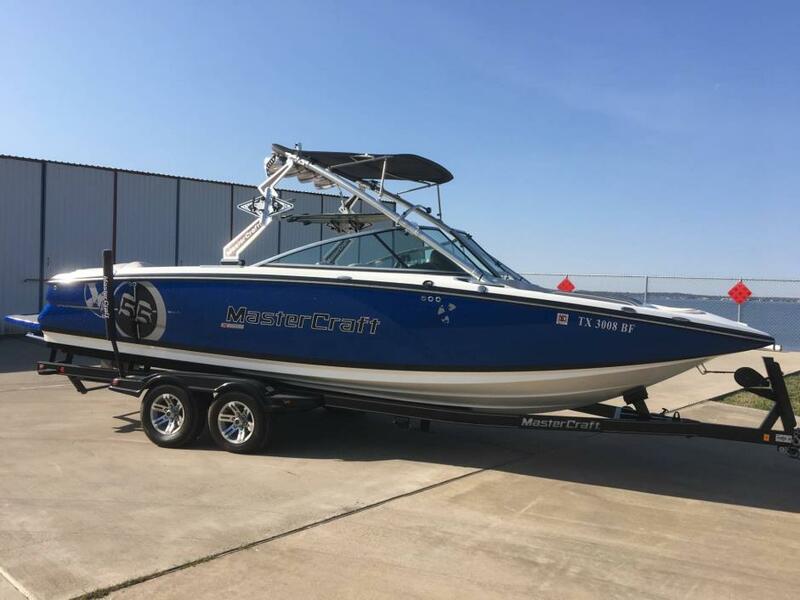 84 Hours, looks and runs like new.Features include: Ilmor 6.2L Engine (430hp) Install Drop-In Carpet Anchor Vacuflush Toilet Underwater Lighting (Boat And Trailer) Stereo Transom Remote Amp And Subwoofer Sirius Satellite Radio Kit AM/FM/C Player With 6 Speakers And 4 Tower Speakers With Lights Tower Board Racks Tower Camera Attitude Adjustment Plate Additional Cockpit Seating Boat Cover Tandem-Axle Trailer With Alloy Wheels Convertible Seat Toilet Sink Deluxe Aft Lounge Marine Lair And Much More. 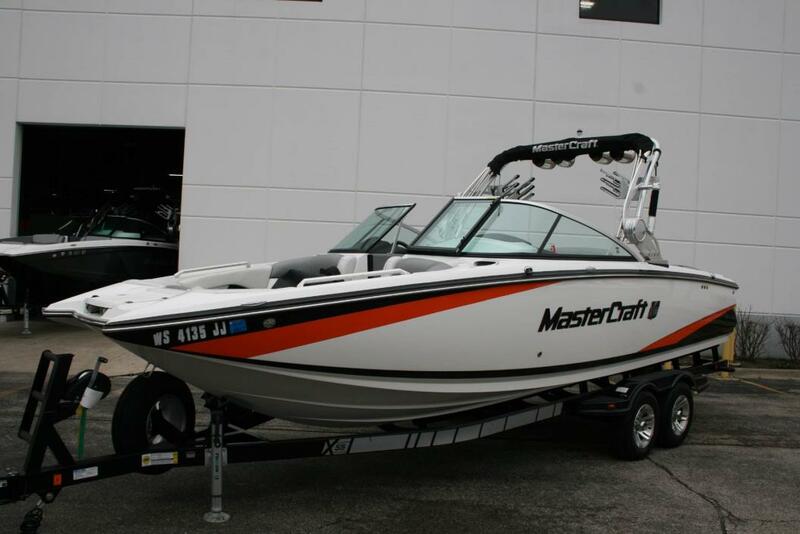 2011 Mastercraft X-55 Up for sale is a very clean and well equipped 2011 X55. 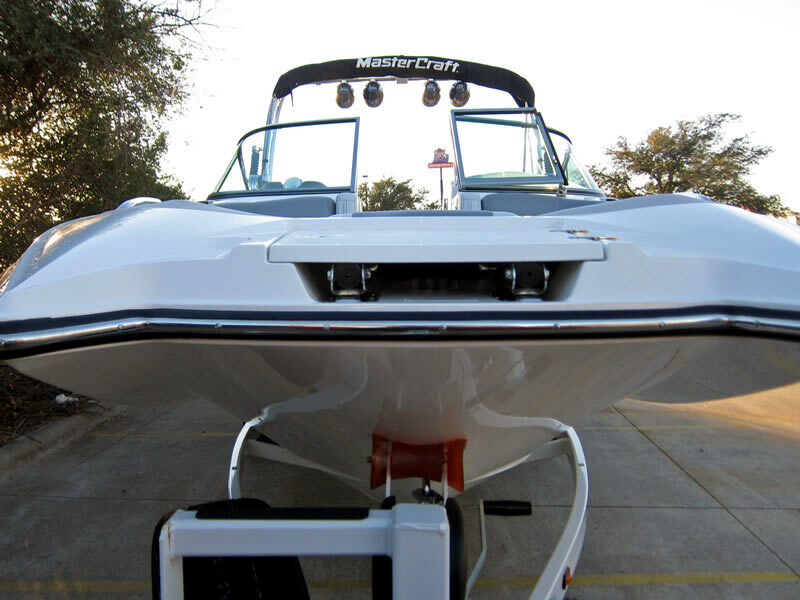 The boat is in excellent shape and has a custom powdercoated tower, board racks and speakers. Options include: -Ilmor 6.2 (430hp - 145 hours) -Underwater lighting -Surf tabs - Four billet speaker cans -Heater -Bimini & cover -Tandem axle trailer -More Be your own social network. 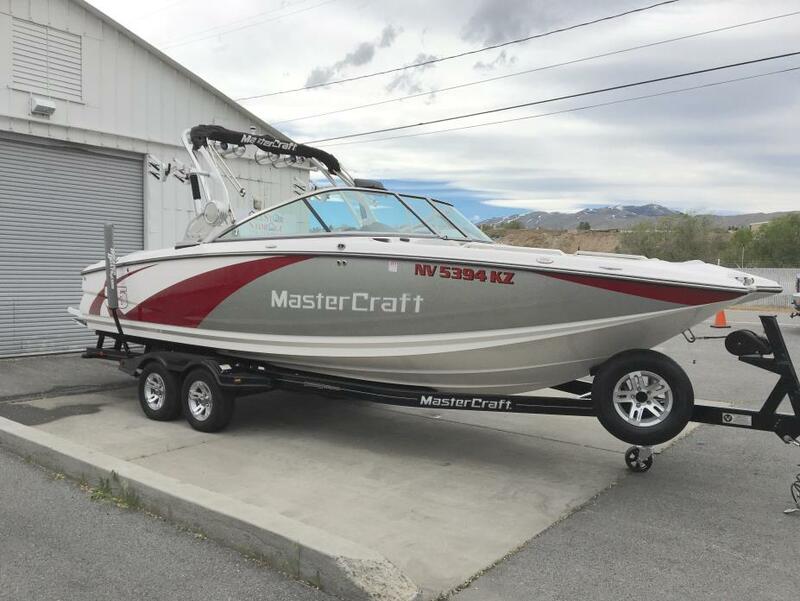 The expansive MasterCraft provides enough space to comfortably welcome 18 and yet still offer ample storage and amenities. Such as a wet bar, on-board head, convertible passenger seat and even armrests in the large bow lounge. 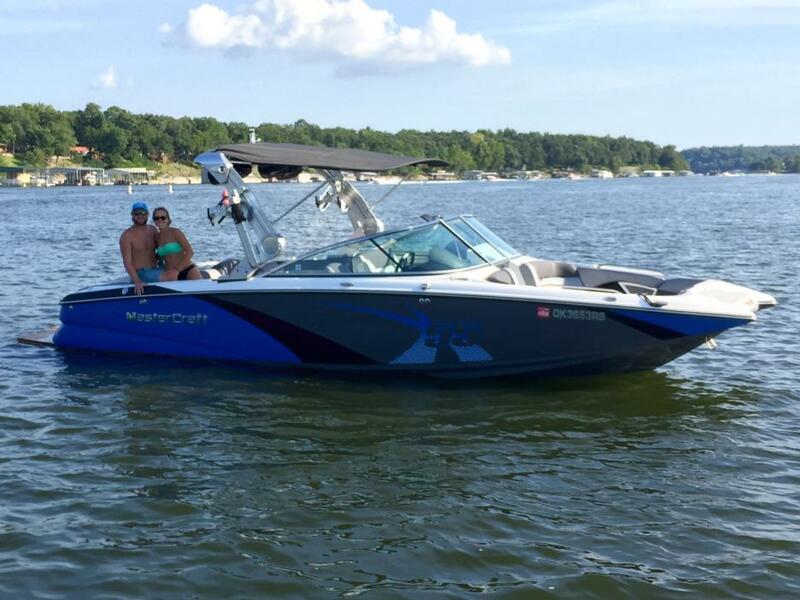 You'll love the new graphics and choices of the Zero Flex Towers, and of course it's an X Boat, so it delivers picture-perfect wakes for wakeboarding and surfing. 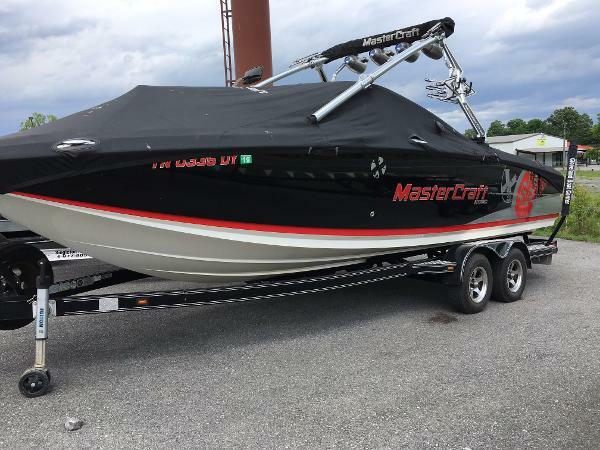 2013 Mastercraft X55 *Moving Sale Price Reduced to Move* 2013 MasterCraft X55, 6.2L Ilmor Engine, PRO-PACKAGE (7" Murphy Touch Screen, ZFT4 Tower, Tower Board Racks, Removable Ski Pylon, Tracking Fins, Attitude Adjustment Plate w/ Auto-Launch), Hydraulic Steering, Surf Tabs, ProView Panoramic Mirror, Grey Bimini, Grey Mooring Cover, 2 JL Audio Tower Speakers w/ Forward Facing Lights, JL Audio Component Speakers, Transom Stereo Remote, Automatic Fire Extinguisher, Retractable Docking Cleats. WORLDWIDE SHIPPING AVAILABLE. 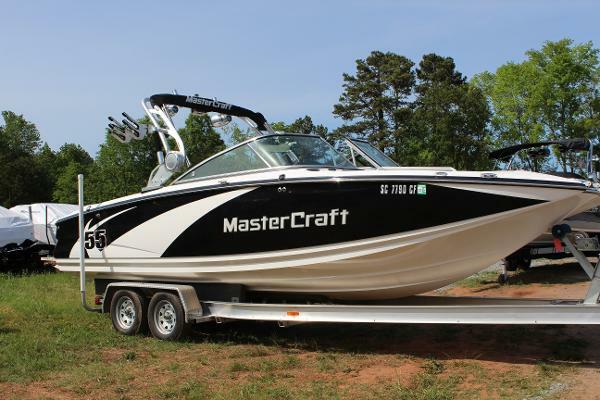 CONTACT CHARLOTTE SKI BOATS @ 704.525.6006 FOR MORE INFORMATION.